There's grand fun, grand feudin' and grand fightin' in this spoof on low-budget Hollywood moviemaking. 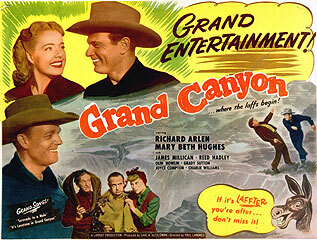 Assigned by producer Robert L. Lippert to make a Western titled "Grand Canyon" on indoor sets, Reed Hadley farcically tries and fails, and finally convinces the front office to allow him to shoot on location. More comedy, romance (and songs) ensue.